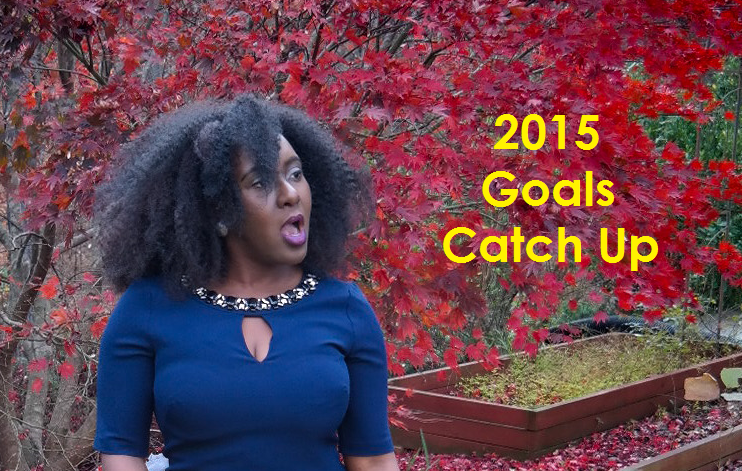 What I'll do is catch up on my 2015 Goals. If/When I can finally articulate my 2016 hopes, dreams, etc then I'll share them here. For now, let's recap 2015. Personal Goals - see post here. Lose 10lbs - I lost the 10 pounds in a little over 2 months and announced it here. I actually wanted to lose 20, eventually lost 14, and then gained 10 back. So I'm back to wanting to lose weight. Go on a NaijaTreks tour - We trekked to Ibadan and I shared it in 3 posts, starting here. Buy Nigerian - I think I did okay but not marvelous. I bought a few things, but not necessarily from the bigger Nigerian brands that are taking fashion by storm. Here are a few posts from my Nigerian purchases. DIY Aimas Cape, Twirling in Toju Foyeh, 1 N5k Shop Dress - 5 Ways, Easter Weekend in Eve & Tribe, Joyful Wedding in Eve & Tribe, Twenty Six Skirt in Abuja, Twenty Six Skirt in Edo. Learn how to wear a full face of makeup - I went to the Blush, Brushes and Bubbly class with Stella's Addiction, and also a free Eyebrows tutorial at Luxe Beauty Lounge. I'm still struggling with strip lashes. Read more - I wanted to read the whole Bible, and also other books. I didn't do well, although I have to say I read a lot of free romance novels on my iPad mini, so maybe they should count for something. Something I've noticed about myself is I can make the goals, write them down, but I don't make them plain to see everyday. So I forget the goals and hardly go back to check. When I finally make the ones for 2016, I'll make sure they're plain and easy to see, so that they're constantly on my mind. That being said, I'm happy I still did pretty good overall, with my personal goals. Blogging Goals - see post here. Interaction - I wanted to be more interactive and get more comments on the blog. Just eyeballing it, I think I had slightly more comments in 2015 than 2014. I do think that to get more comments, a blogger needs great content. I think my content can be a lot better, truthfully speaking. I was reminded by someone last year that I stopped putting up the random, silly, funny posts I was known for. It stung a little bit but I thought about it and as much as I want my blog to be more mainstream and have international appeal, I don't want to lose my essence. I have to find a way to carefully balance my blog going forward. Post Frequency - I wondered about blogging more frequently and decided to post 4 to 5 days a week although I worried about burning out (which eventually happened). At the end of the day, I had 208 posts of mostly original content and a few sponsored posts. That works out to about 4 posts a week. Structure - I wanted more structure on the blog, scheduling posts ahead of time. I had Weekend updates on Mondays and Lovely Links on Fridays. In between I had different posts, mostly random. The problem I saw was that Mondays had higher views, and the rest of the week would be a lot quieter. It makes sense but I almost started trying to make sure every weekend was packed, so I would have content for Monday. It might have contributed to my stress breakdown. Collaborations - I also wanted to collaborate more with brands - giveaways, reviews, affiliations, etc. 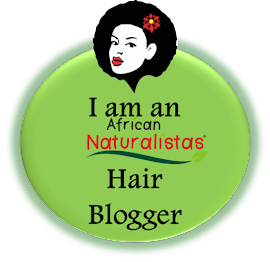 Not only did I have a number of those, I also collaborated with other bloggers (Naija Nomads and I Take Inagbe Resort, Marriage Talk, TBC Connect). I was especially happy with partnering with Nazuri Curls and was pleasantly surprised with the results. 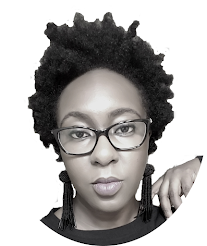 Post Diversity - There were beauty posts, style posts, weekend posts, reviews, giveaways, travel posts, hair posts, etc. So there was definitely diversity. Was there too much diversity? I think I'll create a survey soon to have a better idea of what works on the blog and what doesn't work. For now, I think I would give myself 82/100 for my 2015 goals. I think that I accomplished a lot, but I could have done better. Quite lofty goals you got there, and very achievable too. Best wishes to you! Good luck on your goals and we will keep you accountable ;). With regards to your goal 1, I've learnt over the years from helping people lose weight that the key to losing weight and keeping it off is - identifying the bad habits that caused the weight gain and breaking it. The popular ones are binge eating, emotional eating, eating out a lot, late night snacking and nutritional ignorance. Break the habit and the weight will fall off and stay off, the whole diet and exercise works even better when bad habits are eliminated. Hey lady. I know what my bad habits are - I don't drink enough water, I'm an emotional Eater (stress eating, happy eating, sad eating, etc), yo-yo dieting, etc. I think recapping my 2015 made me realize that it took only 2+ months to start seeing noticeable change when I was working out and eating right. So I know I can lose weight if I put in the work. Right now it's just a matter of getting started on the work. 208?!?! whoa!!! well done gurl!! I actually like the diversity and frequent posts on your blog. Wishing you the best in this new year. I love your post and I'm excited for your 2016 posts. i am going to copy you. my goals are already written out but i am going to put it up where i can see it everyday! That's the way to go girl! Girrrrl, you tried o!, 208 posts no be beans!! I haven't finished writing my 2016 goals either because there are sooo many possibilities so I'm still uncertain about which ones I want to pursue, Diarris God sha! Wao, 208 posts. You go girl. I couldn't even keep up to a blog post a week. Happy New year and eku ise oh. Really love your posts. Your bible quote on instagram came in @ d righ time. What do you think about Netflix that is now available in Nigeria? That's great that the bible quote reached you just in time! Netflix - well, I've never used Netflix and I don't intend to use it here, at least for the time being. Cakes might be the one who ends up signing up for the app - which will inevitably make me want to watch all my former TV shows. Thank you very much Sophie. I did get burned out a point, I must admit but that was also because I was very busy every weekend.